Designer Developer Kay Cohen has championed innovative design practice for her entire career. For over 20 years Kay Cohen has championed innovative design practice in intimate apparel. Starting out in fashion and then specializing in lingerie, Kay’s dedication has been to the fusion of fashion and function. Kay believes that good bra design demands that both these elements be addressed with equal passion, and is the only way to deliver leading and innovative new products. Followers and fans of Kay’s high profile brands love the artistry and creative merchandising, while industry colleagues have come to revere her extraordinary technical skills and inventive pioneering spirit. Silent Assembly is stocked in Europe & Australia, Supplied image is Elidi from the launch collection. Silent Assembly Launch in Paris July 2013 The new era in Haute Couture Lingerie begins with the debut Silent Assembly Collection. Revolutionising Bra Design, Kay launches Curvessence. Curvessence replaces underwires with 3D Nylon Ribs for incredible comfort and a great fit. 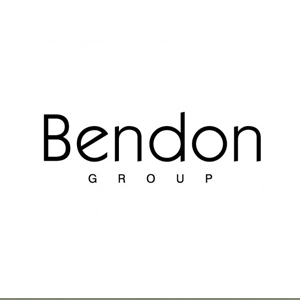 After 6 highly successful years leading trends in intimate apparel, Pleasure State is merged with Bendon. Founder and creative director Kay Cohen relinquishes her interests in Pleasure State, to pursue extensive travel and new projects. Kay creates Voluptuous in Pleasure State, a high quality lingerie brand designed specifically for the woman with more. V.I.P. was a welcome addition to Kay’s existing Pleasure State Couture and White Label brands. Kay’s record-breaking invention the Biofit Bra is launched in Australia across a wide range of Myer stores. Kay once again teamed up with celebrity Sophie Monk to be the ambassador for the category leading push up Bra. During the launch campaign Sophie Monk appeared in a music video where she covered the Salt-N-Pepa classic “Push it”, which was mastered by Benji Madden. Kay invents the industry leading Biofit Bra. The Biofit uplift bra achieved the biggest launch in Victoria’s Secret history. Supermodel Adrianna Lima was selected as the Biofit spokesperson in North America. Kay’s innovation was to engineer a push up bra customized to each cup size, delivering a graduation of cleavage proportional to the woman’s bust size. Kay’s signature fusion of luxury elements, which became the hallmarks of high end brands across the world were worn at the 2006 MTV music awards. Singers from Rihanna to Jessica & Ashlee Simpson and celebrities including Anna Nicole Smith adorned Pleasure State’s latest collection. Within only 2 years of the lingerie labels launch, Kay’s collections were available in over 25 countries. To keep pace with demand, Kay’s high fashion designs, known for their luxurious elements was renamed Pleasure State Couture, with its diffusion line being named Pleasure State White Label. In November 2005 Kay’s latest collection debuted in Moscow. Pleasure State was the signature brand of Russia’s most elaborate lingerie show, where the Moscow Menage was transformed to showcase the worlds leading lingerie brands. Pleasure State quickly became the best selling brand in Wild Orchid’s 90 stores across Russia. Kay’s commitment to ensuring Pleasure State would be a global brand was evident with over 300 stockists achieved in the first year, including department stores Galeries Lafayette in Paris and Victoria's Secret in the United States. Kay’s 2005 collection featured Miranda Kerr in one of her first lingerie campaigns, and selected pieces also appeared in the Victoria’s Secret fashion show. By April of 2005 Kay’s designs were available in 45 Victoria's Secret stores across the US and was one of only 3 international designer Lingerie brands to be stocked in their stores. Prior to the official launch Kay’s brand had been picked up by Australian department store David Jones and Harrods, Selfridges, Bentalls, Liberty and House of Fraser in the United Kingdom. Kay unveils her signature new look in the first Pleasure State collection. Featuring vintage French leavers laces and silks, complemented by the introduction of woven fabrics, opposed to traditional knits. The garments were accented with Swarovski crystal details. By early April 2004 reports of an Australian Fashion week launch of Kay’s new Luxury brand began to emerge. In late 2002 Kay was headhunted from her post in New Zealand and relocated to Sydney. Kay was appointed to head up brands including Berlei, Formfit, Hestia, Playtex and Wonderbra. As Group GM of Brands at Bendon, Kay re- launched iconic swimwear label Expozay. Teaming up with Australian icon Sophie Monk as brand ambassador. The Expozay swim launch also featured a young Jennifer Hawkins two years before she won the Miss Universe title. Under Kay’s leadership Elle Macpherson Intimates climbs to commercial success in the Australian and New Zealand Market places. Kay develops Macpherson Men and drives the brand into the menswear category. The overwhelming success of the brand prompted the launch into the UK & Europe. During her tenure as Creative Director of Elle Macpherson Intimates, the label was credited as the top fashion underwear brand in Australian and UK department stores. At Bendon, Kay was known for her creative direction and successful reshaping of Elle Macpherson's Lingerie Label: Elle Macpherson Intimates as well as heading creative for labels Bendon, Bendon Man, Hey Sister and Expozay swim. 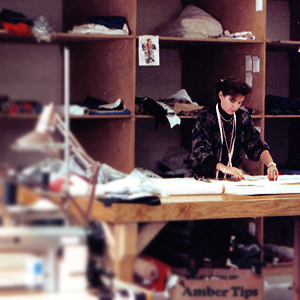 Kay transitioned to Lingerie design in 1992 when she joined Triumph International, in Brisbane, Australia. 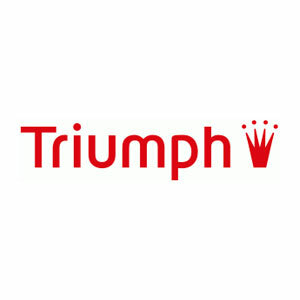 At Triumph she was responsible for creative direction for brands including Triumph, Sloggi, and introduced Valisere to the Australian market. Kay’s outwear successes include Sheva, a ready to wear and bespoke leatherwear label, with stores in New Zealand. 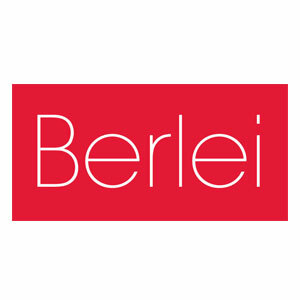 The brand was also stocked in 17 countries across the Pacific, North America and Europe. Some of her earliest creations are on display in the Te Papa, the National Museum of New Zealand. Kay qualified in Fashion Design from Massey University (then Wellington Polytechnic). 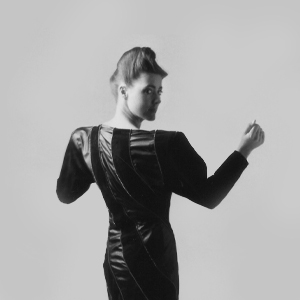 Kay later went on to lecture at the same school and instructed fellow designer Collette Dinnigan.